Has JC changed his mind? We heard talk of the other moons of Polyphemus. We heard talk of the oceans of Panodra. But now when we hear of the Avatar sequels will be take place on Pandora. Do you think that JC has changed his mind? 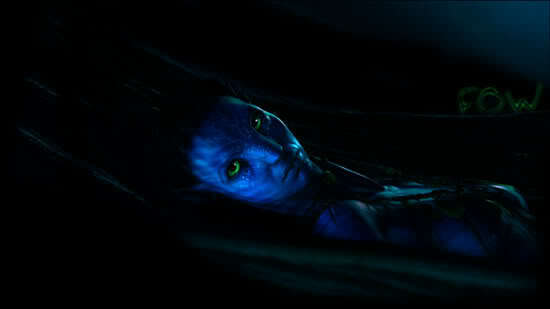 Did he have somthing else in mind for the sequel to Avatar and it's success blew it away. I personally believe that even JC was (pleasantly) surprised by the success of Avatar. He hoped for a $1 billion grossing movies. But didn't expect something so great. So his inital ideas about how the franchise would develop in the future have been blown away. He imagined perhaps it would be like Aliens. A modest success and then he would eventually follow it up with a low budget sequel on one of the barren and distant moons. Only to find out that everyone wanted to see more of Pandora. I personally think JC has been surprised by his own success. And now he finds himself needing to give more of the same but with the same magic? What do you think? My goodness! You scared me with the topic title. I thought this was in the news section for a moment and that JC had changed his mind . He will most likely spread the scope of the film horizontally. I hope this spread doesn't include other alien races or other planets (besides Earth). I'm mostly hoping that spread takes the form of exploring other tribes, other areas of the planet, other flora, wildlife, etc. There is still a ton of "magic" left to be explored on Pandora. Sorry.Didn't mean to worry you. That's why it's in the speculatation section. I agree with what you say above. But originally we heard something different. We heard of the Oceans and the Moons and now its all classified. I think JC imagined we would be leaving Pandora and now he has (perhaps galdly) been forced to stay. I believe that for commercial reasons Ewya, the Navi, Pandora and Neytiri will be a big factor in the sequels now. But originally JC may have imagined something else. I don't think Cameron ever thinks in terms of "low budget" anything. With him, it's go big or go home. ...but your analysis, NFB, sounds pretty reasonable. Cameron really might've not known about how successful it'd be. After all, before January, he said that no one should assume it would pass Titanic; he was definately doubtful during the first month of its release. I for one hopes it stays on Pandora. I mean if the first two movies are on Pandora then the third jumps somewhere else. It would kind of ruin it for me. There's so much there that quite frankly, I don't really care about the other moons. I hope so... I will ALWAYS want more of Pandora. If he wants to have something on another moon, he can do that afterwards in another film, or maybe a book . Yeah, having a sequel take place on another moon isn't appealing to me at all. txen living beyond the pale. There is so much more story to be told on Pandora, I just don't see other moons being more than a minor plot device. Cameron never said any of his Avatar films would have an entirely different location than Pandora throughout the whole movie. He said he might "explore" other moons; never said he would have one of the sequels take place completely on another moon.